The man who became the model of the image character, "Tahei Mori." A section of the "Kuroda Bushi"
When Tahei Mori was sent as an emissary to Masanori Fukushima, who was known as a hearty drinker, he was strictly forbidden from consuming alcohol on duty by his lord. As Tahei Mori was also known as someone who could hold his liquor, he was urged to drink sake many times by Masanori, and although Masanori repeatedly said to Tahei, who continued to refuse because of his strict orders, "if you drain the cup I will give you any reward you want," Tahei stubbornly continued to refuse. However upon hearing the Masanori say, "if this is what the reputed Tahei Mori is like, then the Kuroda house must be lightweights; if they get drunk they're probably useless," which besmirched the name of his master's house he accepted the challenge. He drank many cups, one after another, filled to the brim with sake, drinking each cup in one gulp. Masanori had been defeated, but accepting the saying that "a warrior's word is his bond," he handed over the treasured famous spear Nihon Gou as a reward. 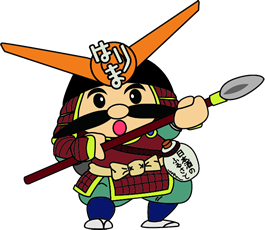 The spear Nihon Gou was a peerless spear that was originally a possession of the Imperial Household, and passed through the hands of Nobunaga and Hideyoshi before it came into Masanori's possession. 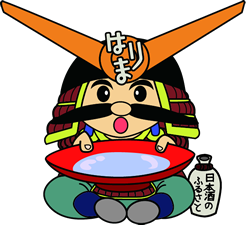 From this, the nickname "Drinking-obtained Nihon Gou" became widely known through this story from the "Kuroda Bushi" which showed the manly spirit of the Kuroda warriors.